Zanu-PF National Political Commissar Lieutenant General Engelbert Rugeje (Retired) has urged ruling party members to expend their energy on building lower-tier levels of the party for the revolutionary party to win the forthcoming harmonised elections convincingly. Rtd Lt Gen Rugeje said the ruling party should not lose sleep over the size of crowds that were attending rallies addressed by the MDC Alliance. He was addressing the Zanu-PF Masvingo Provincial Co-ordinating Committee meeting last week. Rtd Lt Gen Rugeje said Zanu-PF was concerned about making sure that its structures from the cell upwards were in place ahead of the elections. “You should not be worried about the crowds that are being addressed by Chamisa. That should be the least of our worries as a party,’’ said Rtd Lt Gen Rugeje. “What you should be doing as leaders is to go down to the cells and make sure the structures are in place. Our main focus and concern should be at the cells of our party. Let them address crowds at rallies while we focus on making sure our cells are in place and solid,’’ he said. The Zanu-PF National Political Commissar said the ruling party was pulling all the stops to make sure the party’s primary elections were fair and transparent. Zanu-PF has set May 5 as the day for its primary elections. The primary elections will come up with candidates who will represent Zanu-PF in both council and National Assembly elections. Zanu-PF has already asked aspiring candidates to submit their CVs for vetting by the National Elections Directorate ahead of the primaries. Rtd Lt Gen Rugeje also announced the setting up of the nine-member Elections Commission. The commission will resolve disputes related to the polls. Addressing the same meeting, Zanu-PF Masvingo provincial chairman, Cde Ezra Chadzamira, challenged party provincial leaders to lead programmes in their respective districts and make sure Zanu-PF wins the harmonised elections convincingly. Cde Chadzamira expressed optimism that Zanu PF was going to defeat the opposition in the coming elections and retain all the 26 House of Assembly seats it won in 2013. 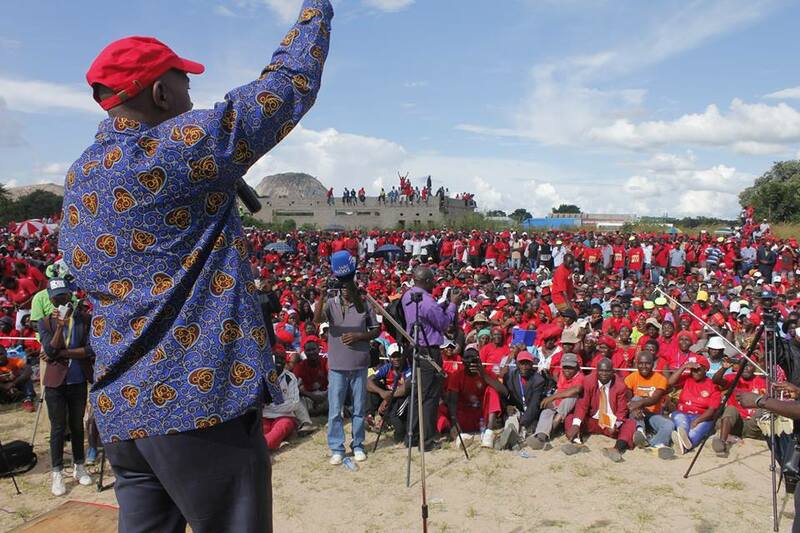 The crisis-ridden MDC Alliance has been holding rallies to drum up support. The alliance was thrown into disarray after MDC-T leader Mr Morgan Tsvangirai died in a South African hospital in February this year. The death of Mr Tsvangirai saw Mr Chamisa usurping power.